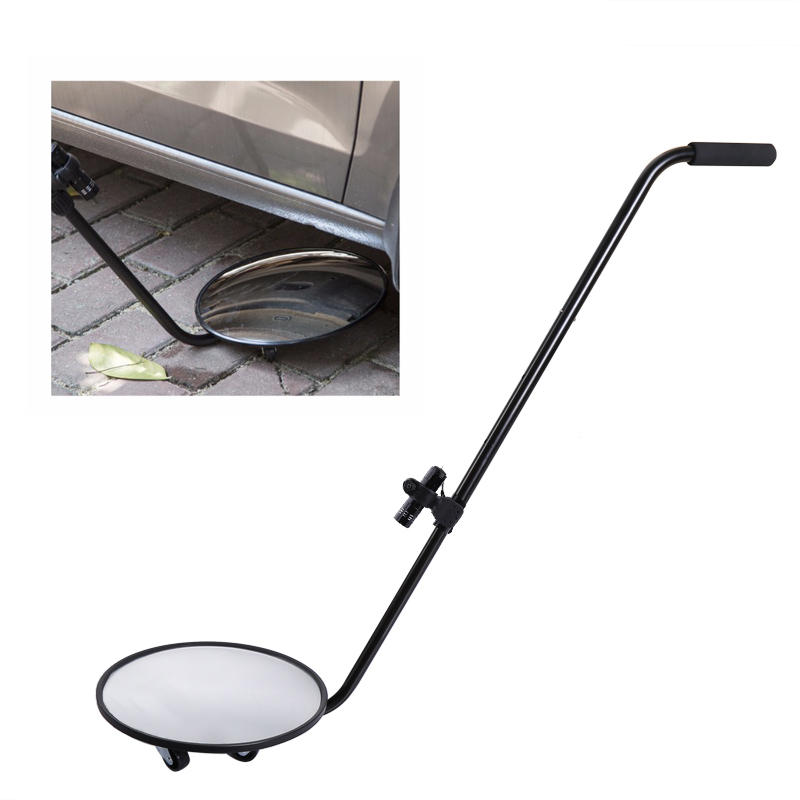 Successfully Added Vehicle Inspection Mirror - Adjustable Lenght, 12-Inch Mirror, LED Light, Rubber Handle, Ball Bearing Wheels, Light Weight to your Shopping Cart. This Vehicle Inspection Mirror allows you to easily check damaged parts or hidden objects under your vehicle. It can be used perfectly for both repair and security purposes, making it a truly multifunctional tool. Thanks to its detachable and lightweight design, this Vehicle Inspection Mirror is highly portable. It has been crafted out of high-quality material which allows you to use it both indoor as well as outside in any environment. This car accessory even comes with a compact LED flashlight that can be attached to it. Thanks to this, you’ll be able to check below your car even in dark environments or at night. The hand-held stick of this car gadget features a design that can be easily adjusted in length. Thanks to this adjustable stick, it can be used easily and comfortably by people of any size. It furthermore holds a thick rubber handle that protects you in case your Vehicle Inspection Mirror may accidentally hit an electronic component. This makes your security gadget completely safe to use. At the end of the stick, you’ll find a large 12-Inch rounded mirror that gives you a great overview of everything located under your car. The three ball-bearing wheels located at the bottom of the mirror make your gadget easy to move around under the vehicle. This car security gadget allows you to easily spot anything out of the ordinary. Whether it’s a damaged component or hidden object, with this Vehicle Inspection Mirror you’ll find it in the blink of an eye. This security gadget comes with a 12 months warranty, brought to you by the leader in electronic devices as well as wholesale electronic gadgets..